It’s the ultimate comfort food. A chicken pot pie is a baked savory pie filled with chicken, gravy, and vegetables (potatoes, carrots, green beans, and peas) and completely encased by a flaky crust. Yes, I know people commonly call things with only a top crust pot pies, but those are just chicken stews with a crust floating in it. This traditional American dish does a good job of covering the four major food groups though it’s also loaded with calories, salt, and fat. 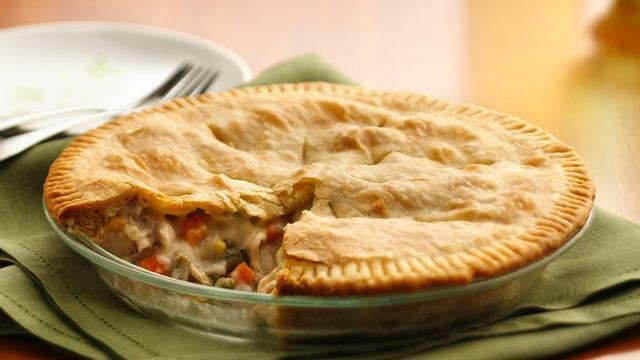 In Portland, chicken pot pies can be found at supermarkets, delis, bakeries, restaurants, and even at road stands. Here are a few places that I’ve tried. Located on Cape Elizabeth, the Cookie Jar makes an excellent pot pie with a flaky crust, plenty of vegetables, and a good portion of chicken. At $15 for a 10 inch pie, the Cookie Jar’s pot pie is a good value. BTW: the traditional pastries and cookies at the Cookie Jar are excellent. This well-known bakery located near Portland’s old port is generally over rated, and their pot pie is likewise good, but not worth the fuss. The crust is just right and there’s a healthy portion of chicken; however, the filling has too many whole pearl onions and there are not enough vegetables. At $20 for a 9 inch pie, it’s on the pricey side. This upscale family style deli located in Falmouth sells a dish that claims to be a pot pie. There’s plenty of chicken and a good sampling of vegetables, but this pie has one major flaw: there’s no bottom crust. It’s expensive at $17 and is on the small side. If you can overlook the lack of bottom crust (which, ultimately, I cannot! ), the pie isn’t bad. Pat’s is a neighborhood market/deli that has some great sandwiches and homemade soups. It occasionally sells pot pies that are similar to the supermarket variety. In a pinch, a pot pie from Pat’s will do, but stick to their sandwiches and avoid the pie altogether. Bueno Loco features interesting and rather unique “Mexican” dishes, which include gluten free and vegan options. The chef is Russian who learned his trade while visiting Guatemala, Belize, and the Yucatan. 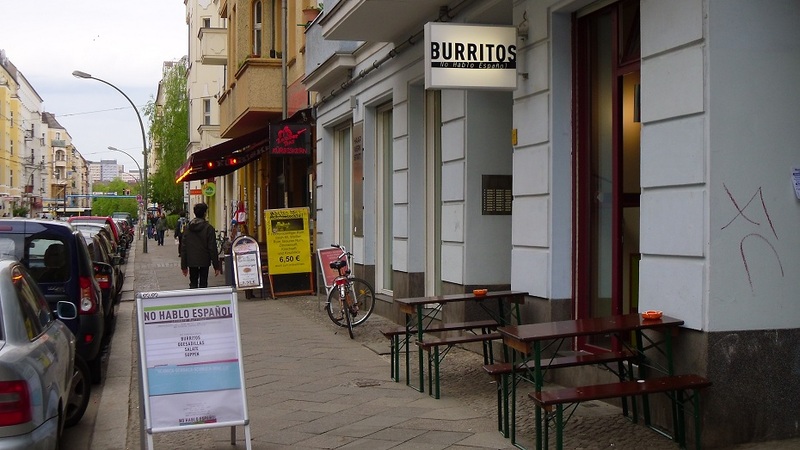 The day I visited, I tried the Bueno Burrito. Overall, the dish was tasty and rather filling. The ingredients included a nice mixture of black, kidney, and pinto beans, shredded turkey, rice, fresh greens, and vegetables. In addition, the accompanying chips were just right, crisp and not too salty. Unfortunately, what they called a “burrito” was spectacularly bland, even by Maine standards! Moreover, the service was slow. Bottom line: if you want real Mexican food, you won’t find it at Bueno Loco. Nevertheless, Bueno Loco is a satisfactory dining option for those of you looking for something different. 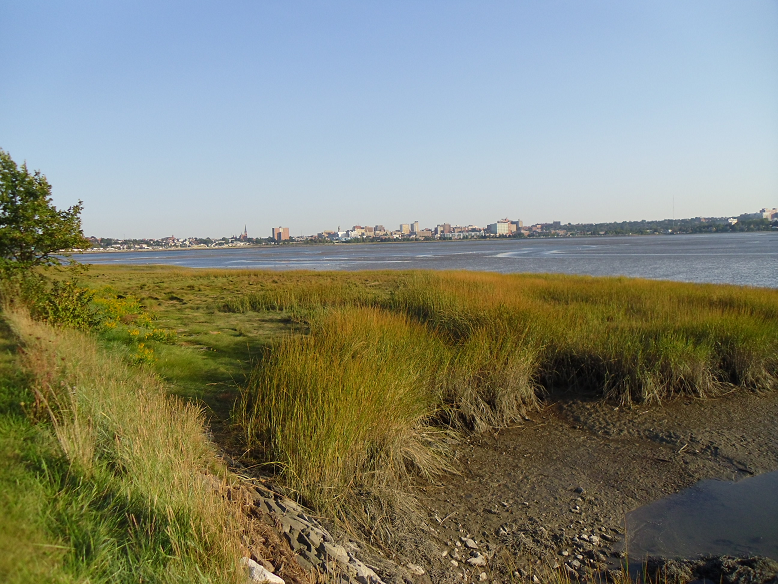 Yesterday, I took a walk along the Back Cove shoreline in Portland. The bite of the sea air and changing leaves left me wondering where the summer had gone. It’s not officially fall, but it sure feels like it. The mornings are chilly, the afternoons breezy, and the nights cold. I could sense the onset of fall and the coming of winter. It left me a bit depressed thinking of the long long winter. Even so, fall is a wonderful time to be in Portland. The tourists have left, the days are sunny, and the mosquitoes are hibernating. 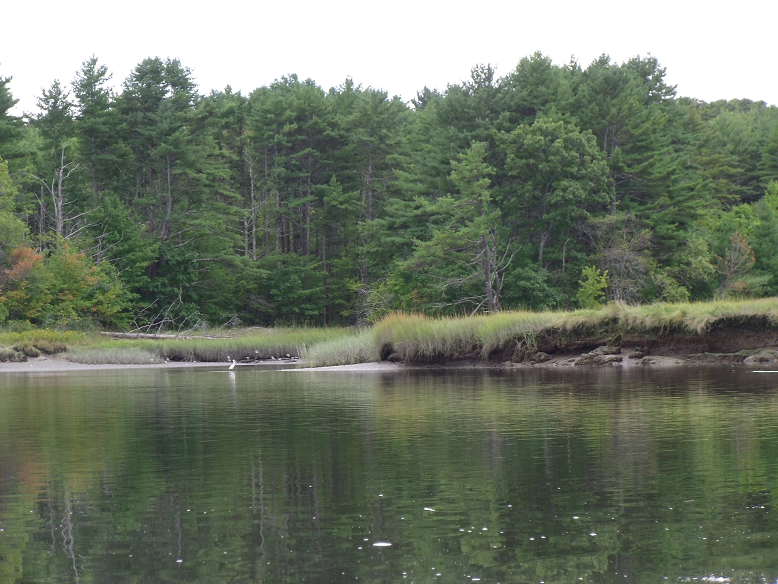 Kayaking is especially good this time of year. 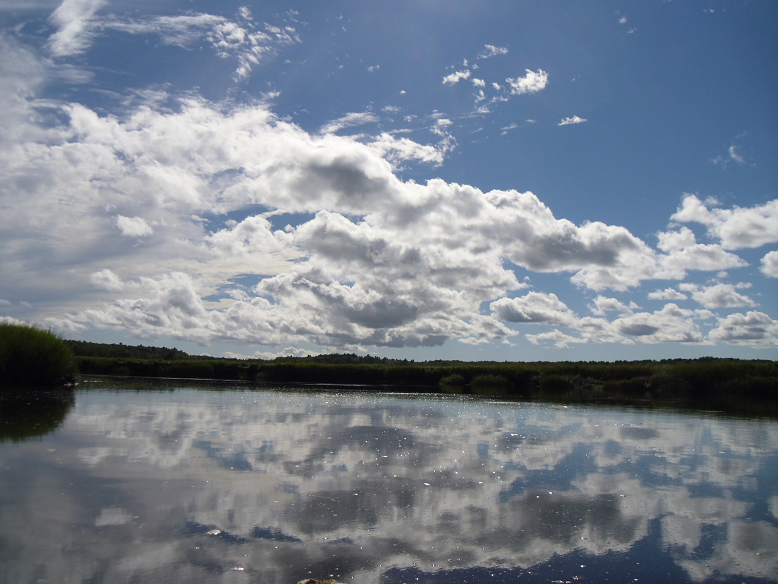 I enjoy the Scarborough Audubon Marsh where the clouds and water magically come together. Most people go about their daily activities hardly noticing the ubiquitous parking lot. Yet, the parking lot is a familiar and useful part of modern life. Characterized by black top surfaces, minimal landscaping, and pole lighting, these open spaces dominate many urban landscapes. Since most parking lots are designed to maximize parking space, they lack extensive landscaping and are generally ugly heat islands in summer or frozen wastelands in winter. Parking lots are rarely “designed,” and if they are, it’s done cheaply and haphazardly. It doesn’t take much money to beautify a parking lot, just a willingness to make an eyesore more attractive. Here is a wonderful example of an ordinary parking lot made beautiful. It’s the Mercy Hospital parking lot in Portland, Maine. 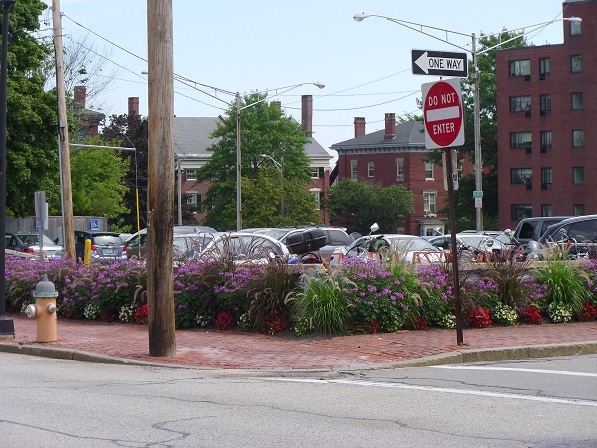 Located on the corner of Spring and Winter, this simple and economical design relies exclusively on annuals and grasses massed along the guard rails. 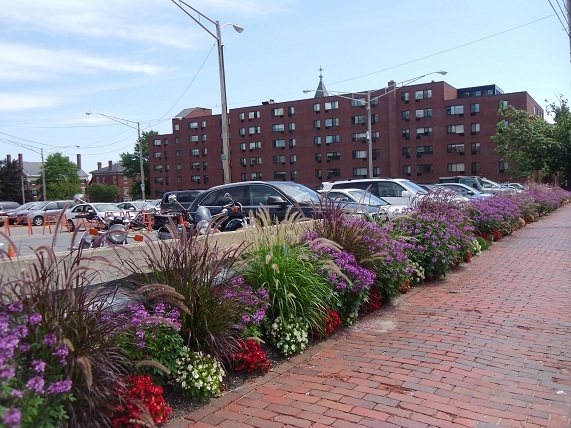 The colorful plants not only soften the harsh asphalt pavement, but they attracts birds, bees, and useful insects. The carefully selected plants also compliment the brick sidewalk and brick hospital across the street. Thank you Mercy Hospital for adding a little bit of beauty to Portland! All of a sudden, Potato Doughnuts (also known as the Spudnut) seem to be everywhere. They’re the latest craze to hit Portland. I had never heard of potato doughnuts until very recently, but they’ve been around since the early 1900s. Potato doughnuts are made with mashed potatoes or potato starch instead of flour, and as a result, they’re sweeter and lighter than the traditional doughnut. Holy Donut, a shop specializing in potato doughnuts is located on Park Avenue across from the Ice Arena, and it has hipster written all over it. 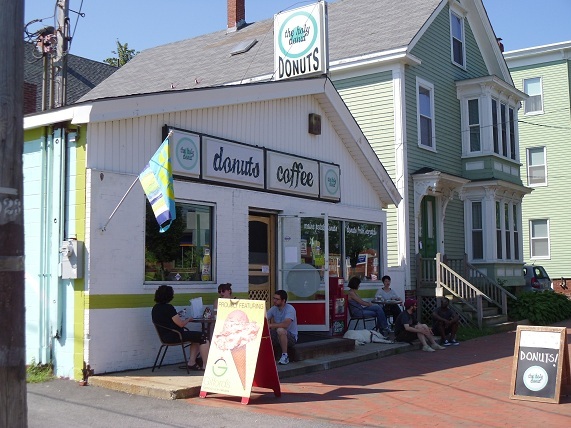 Designed in a shabby chic style, Holy Donut has comfy sofas, plenty of rustic furniture, and that all important feature, the “cool” twenty-something customer. The doughnuts are pricey ($1.50), but they are delicious. The day I visited, I tried the cinnamon sugar and sweet potato. Yum! And if crowds are any indication, Holy Donut is a success. The place was full. Go early. Many of the favorites sell out fast. 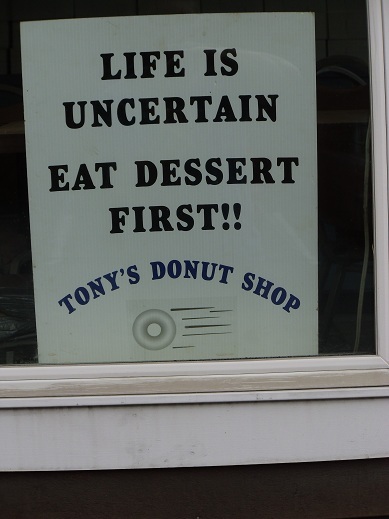 However, for my money, I would head to Tony’s Donut Shop. 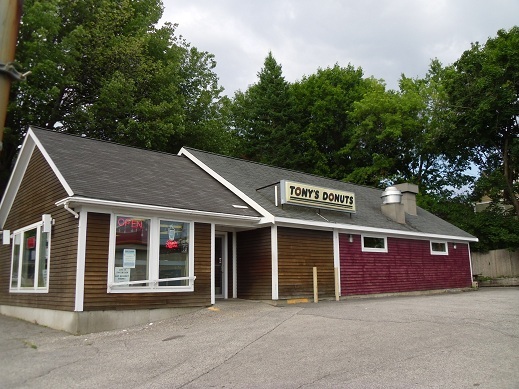 They have traditional doughnuts at reasonable prices ($.80). No hip people or potato doughnuts here, just good doughnuts, full of sugar, fat, and calories. This year a pair of American Goldfinches (Carduelis tristis) have made their home in our Korean Ash tree. The male is bright yellow with a black patch on his forehead. The female is a dull olive yellow. This lively pair thrive on our sunflowers. 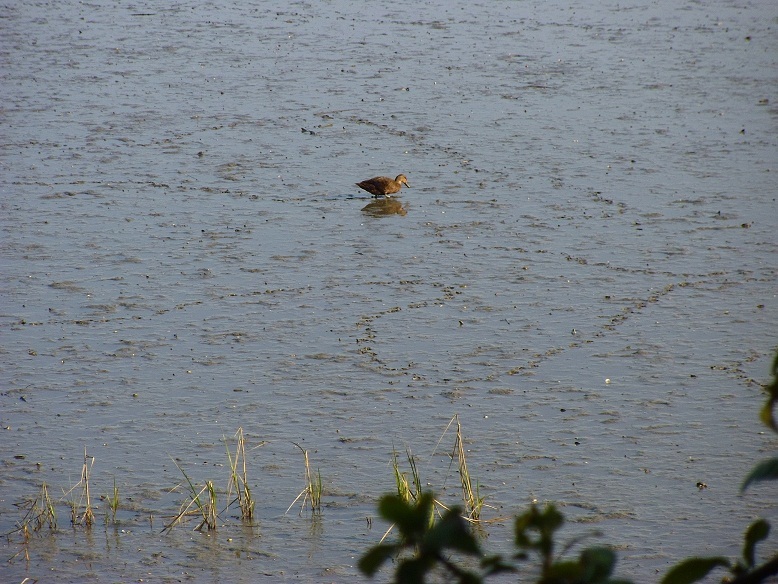 During the afternoon hours, they work furiously as they pluck off sunflower petals to get at the seeds. They create quite a mess, not to mention disfiguring the sunflowers. Oh well, I can hardly begrudge them. They have a young family at home.